The Government is committed to the “Making Tax Digital” (MTD) project which is scheduled to start in April 2018 with the first quarterly updates being submitted by the self-employed and property landlords in July 2018. Many business owners, professional advisors and the Treasury select committee had expressed concerns about the timescale for the introduction of MTD. The Chancellor announced that there will be a one year deferral in the start date to 2019 for self-employed businesses and property landlords with gross income below the VAT registration limit. Another way of delaying the start of Making Tax Digital (MTD) would be to change the year end of your business. The legislation in the latest Finance Bill specifies that MTD will apply to accounting periods commencing on or after 6 April 2018. This means that if you currently prepare accounts to 30 April then the first quarterly update to be submitted to HMRC will be for the period to 31 July 2018. However, if you changed the accounting date of your business to 31 March then the first quarterly update would be for the period from 1 April to 30 June 2019. Contact us to discuss the full tax implications of such an action. The Chancellor announced that the Government is committed to continue to have the lowest corporate tax rate of the G20 major trading nations. As already announced the corporation tax rate reduces to 19% from1 April 2017 and then to 17% from 1 April 2020.The corporation tax rate for small and medium sized companies trading in Northern Ireland will be reduced so that such companies can compete with those in the Republic where the rate is 12.5%. 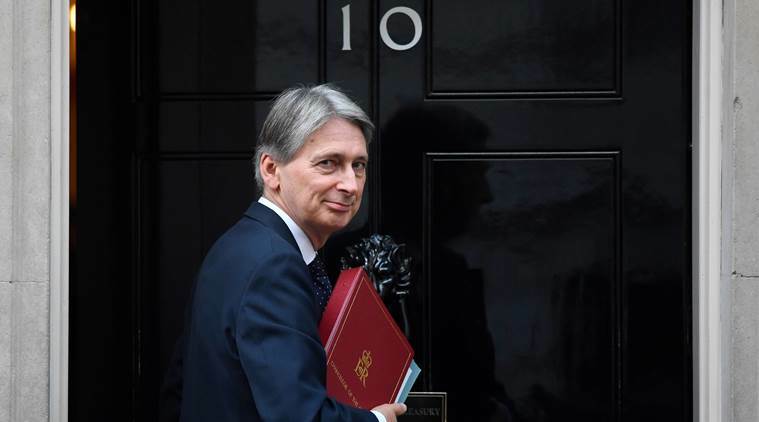 The Government is also keen to continue to encourage investment in research and development (R&D) and the Chancellor announced that the R&D tax credit claim procedure would be simplified. The chancellor also announced that the new tax-free childcare scheme is due to start in 2017. The scheme will provide up to £2,000 a year in childcare support for each child under 12 where the parents save in a special account. If they save £8,000 the government will top up the account with 20% to a total of £10,000 which can then be used to pay for childcare costs. There has been much lobbying from the small business sector to reduce business rates. The Chancellor stated that 600,000 small businesses currently benefit from small business rates relief. He also announced that no small business that is coming out of small business rates relief will pay more than £600 more in business rates this year than they did in 2016/17. In order to support the licenced trade from April 2017, pubs with a rateable value up to £100,000 will be able to claim a £1,000 business rates discount for one year.